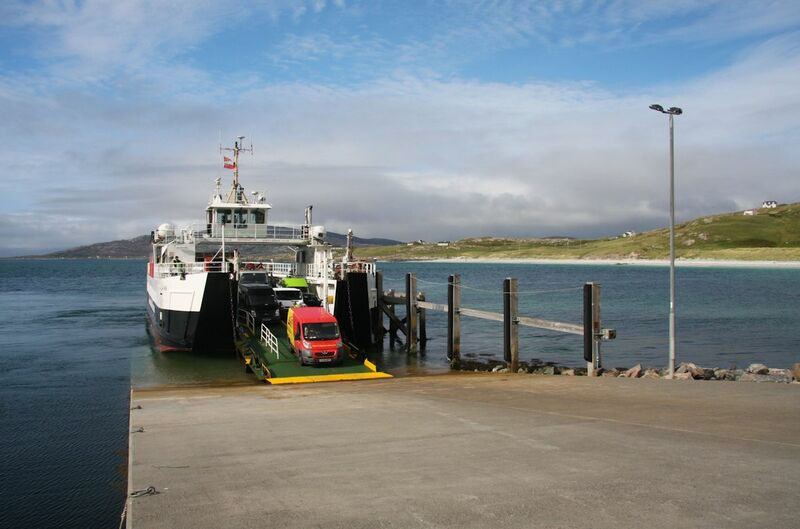 The terminal for the Sound of Barra ferry is situated at Ceann a Gharaidh on Eriskay in the Western Isle of Scotland. To accompany the building of the Eriskay Causeway, new harbours and slipways were built at Aird Mhor on the north east of Barra, and at Ceann a Gharaidh on Eriskay's east coast. These have been used by the small landing craft type ferry, the Elean Bhearnaraigh, to run a direct ferry service across the Sound of Barra. This is limited to carrying 35 passengers or a few vehicles.